Would you like to visit some of the most famous and beautiful places in England? If yes, then we suggest a day trip to the mysterious Stonehenge, the marvellous Salisbury Cathedral and the city of the Roman Baths - Bath. Enjoy a private day tour to these unforgettable places. The trip starts at around 08:30h in the morning from London. It takes a maximum of 2 hours to arrive in Stonehenge. 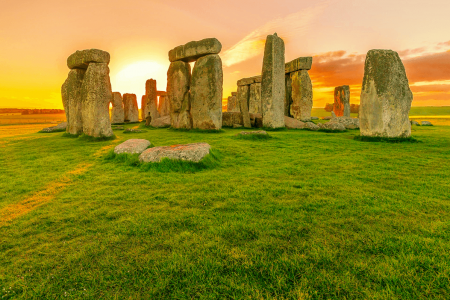 At Stonehenge you will have a guided tour of the site, revealing its magnificent secrets. Find out how it was built and what its purpose was meant to be. Stonehenge was built more than 5000 years ago. 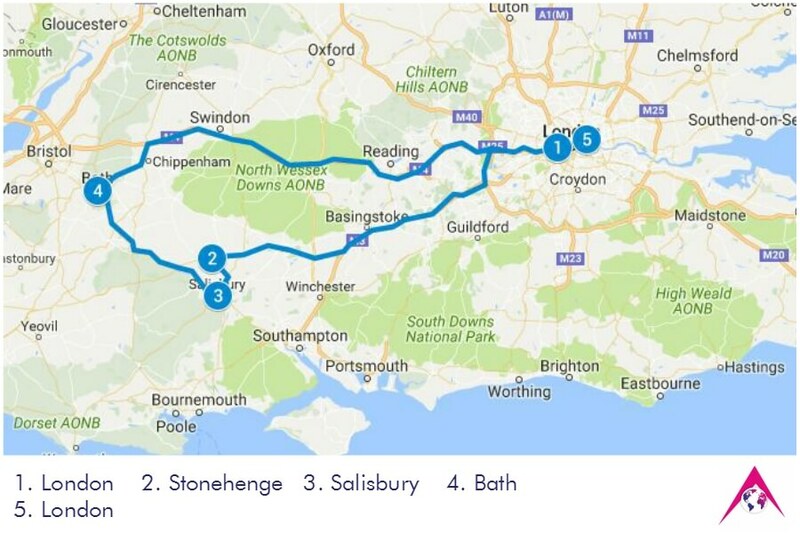 After Stonehenge you will leave for Salisbury. 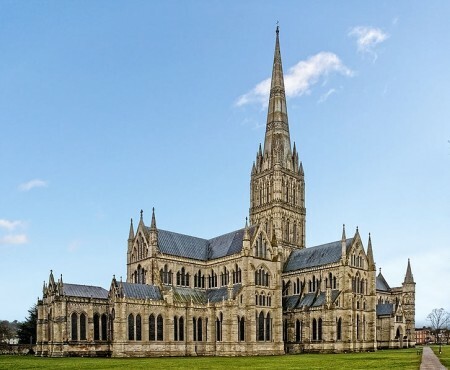 In Salisbury you will visit one of the most beautiful cathedrals in England. Salisbury Cathedral has the highest spire in England and it is 123m/404 ft high. In the cathedral there is the oldest working clock in the world dating from 1386. You will also see one of the few original copies left of Magna Carta, which led to the foundation of Parliament. After the cathedral the tour continues to Bath. Bath is a typical English city, famous for its unique 2000 year old Roman Baths and beautiful houses, located in the valley of the River Avon. 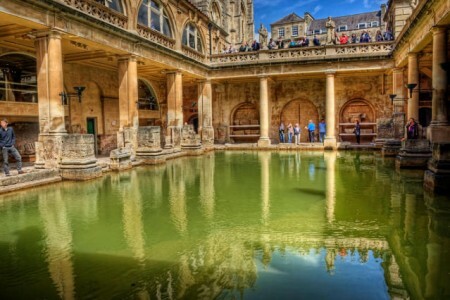 In Bath you will enjoy a guided tour of the Roman Baths and you will also have free time for lunch and shopping in the charming city centre. 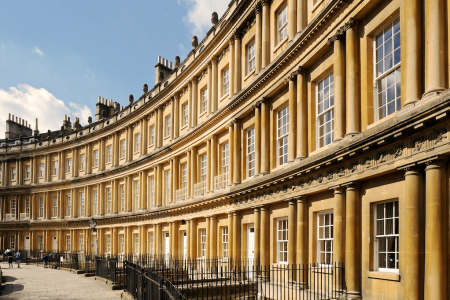 A visit to see the Royal Crescent, which is a row of 30 terraced houses laid out in a sweeping crescent, is included in your program. Your journey back to London takes approximately 2 hours. The estimated time of return is between 19:00h and 19:30h. The Starting point is from your hotel/accommodation. Your pick-up and return drop-off is included in your price. Your pick-up point and drop-off point (if different) have to be in the area of Greater London. If you haven’t booked a hotel yet, or you are not sure of its exact location, we can arrange the pick-up arrangement at a later stage. This private day trip can be booked via email, by phone or just by filling our enquiry form (recommended). If you would like to visit some other museums or attractions, we can include them in your private tour as an extra. We simply have to know it in advance, in order to plan the time schedule of the program. The payment is done in advance. We can negotiate the terms of the payment, if your group is bigger than 15 people. Once we reach an agreement on the program, we will send you a booking reference number for your tour, with which you can initiate the payment online from our website. For your safety and comfort, all our payments are secured and operated by Sagepay on check out.